The Screwpull Lever Model offers outstanding design and unparalleled performance. Its perfectly shaped Teflon coated screw can open 2000 bottles before it needs to be changed and is designed to glide smoothly through even the toughest corks. 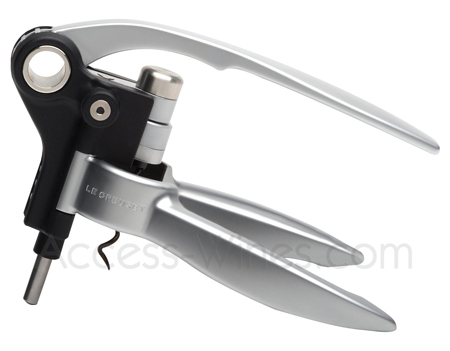 With its comfortable ergonomic design, the Screwpull Lever model ensures that every bottle of wine is opened effortlessly. Only the TRUE SCREWPULL Lever Models come with a ten year warranty. The Lever Model Classic Set comes with a Foilcutter in a Gift Box.